With warm weather rolling in and snow giving way to rain, people throughout Southwest Michigan are looking for durable, weather resistant signs. Whether they’re being used to announce a yard sale, promote a political candidate, advertise an open house, or in any number of other ways, it’s the time of year where rugged, long-lasting signs sit on every lawn, sidewalk, and storefront. But, did you know that Carter Associates offers the industry’s best corrugated plastic signs? With a ton of custom options and the best pricing in town, you can be confident that our Sign Factory carries the signage that you need and – if we don’t – you can be certain that we’ll make it for you! As a way to promote a simple, clear message, weather resistant signs are time-tested and proven. Where normal cardboard signs may become waterlogged or have their messages smudged by precipitation, corrugated plastic is built to last. Able to withstand high winds, torrential rains, and obscure atmospheric conditions, our signs are a surefire way to gain attention and spread the word about an upcoming event, election, or promotion. Best of all, our signs are fully customizable! If you don’t see exactly what you’re looking for in our shop, you can order blanks and have them custom printed to meet your needs. 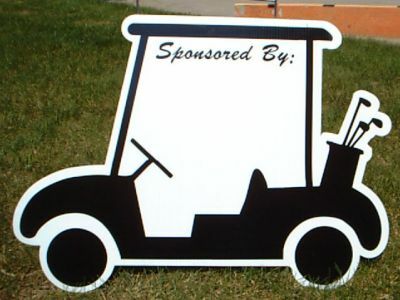 But, with a range of pre-cut signs in stock, including golf, sports, and arrows, you can be confident that you’ll find a sign that’ll work for your specific needs. At Carter Associates, we’re proud to offer the industry’s best corrugated plastic containers. With an unparalleled catalog and the ability to custom build dunnage to our customers’ specifications, you can count on us to meet – and exceed – your expectations. If you’ve been looking for an expert provider of top-quality containers and dunnage, browse our site and contact us with any questions that you have!